With under a week left until Christmas, we’ve started planning our annual New Years Eve party. It’s one of my favorite nights of the year. 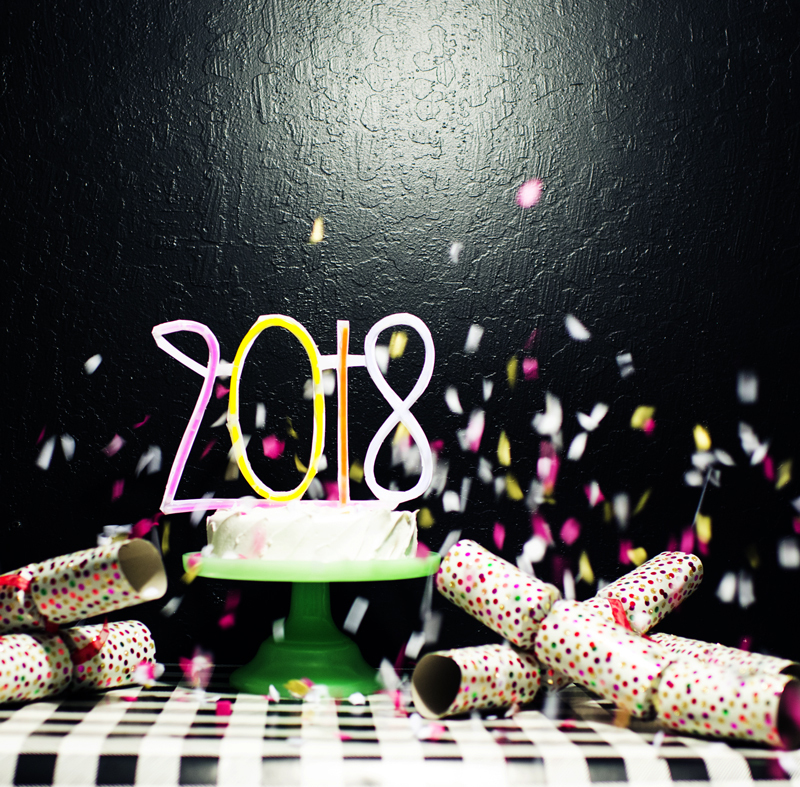 Every year we invite our friends over and try to keep things simple, but very festive, as we ring in the new year together (East Coast style at 9pm, since we all have little kids). It’s a blast! 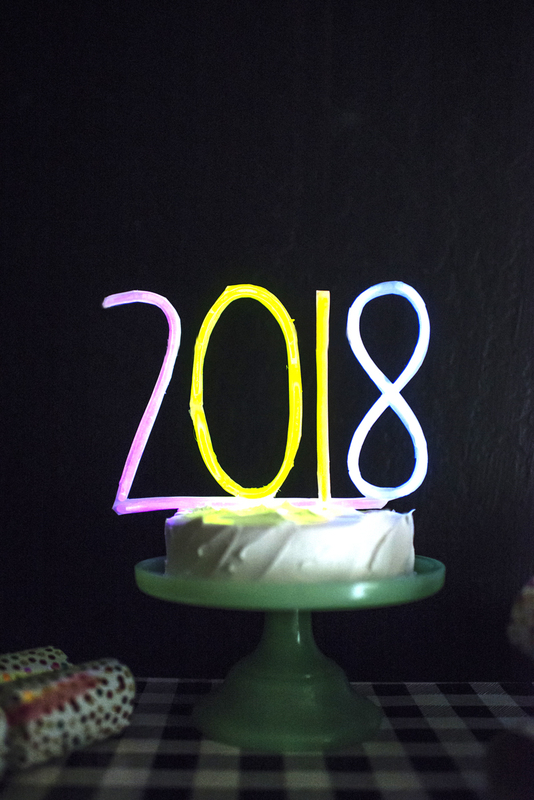 This year we had the fun idea to create a 2018 glow stick cake topper for the night. 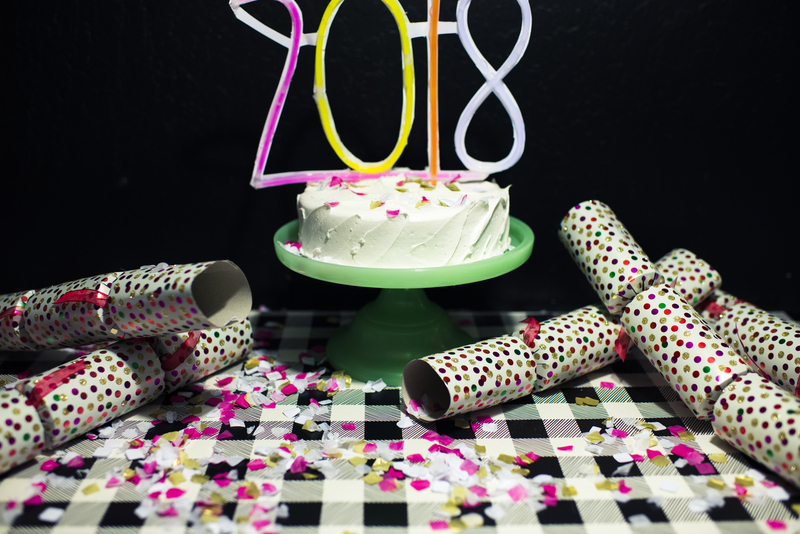 The kids love glow sticks and they think this cake topper is the coolest. I love that it was simple to make and looks great in the dark. 1. Crack glow sticks and shake to get them glowing. 2. Start gluing the sticks into number shapes. 3. Cut the card stock as close to the glow sticks as possible. We left brace points so the paper would keep its shape better. 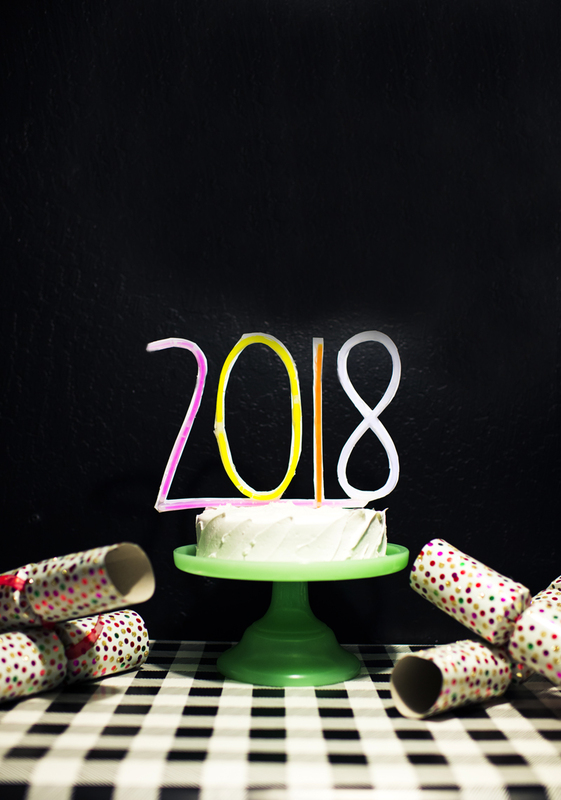 Hot glue a skewer to the back of the cake topper and insert into the cake for a display that screams festive new year and will get everyone in the mood to ring in the new year.